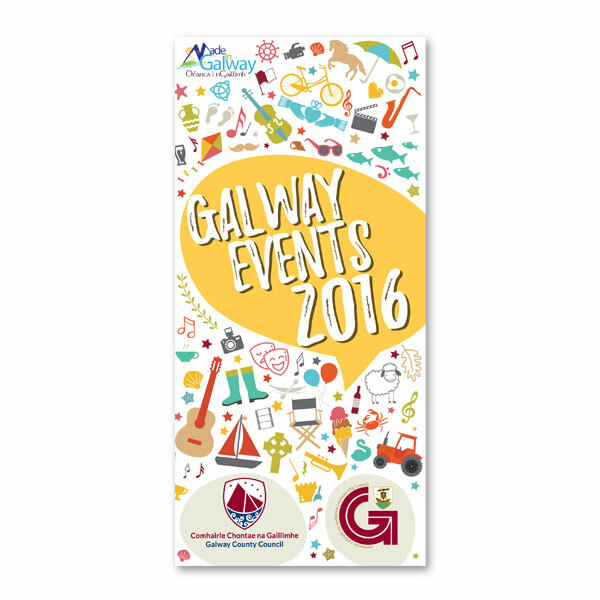 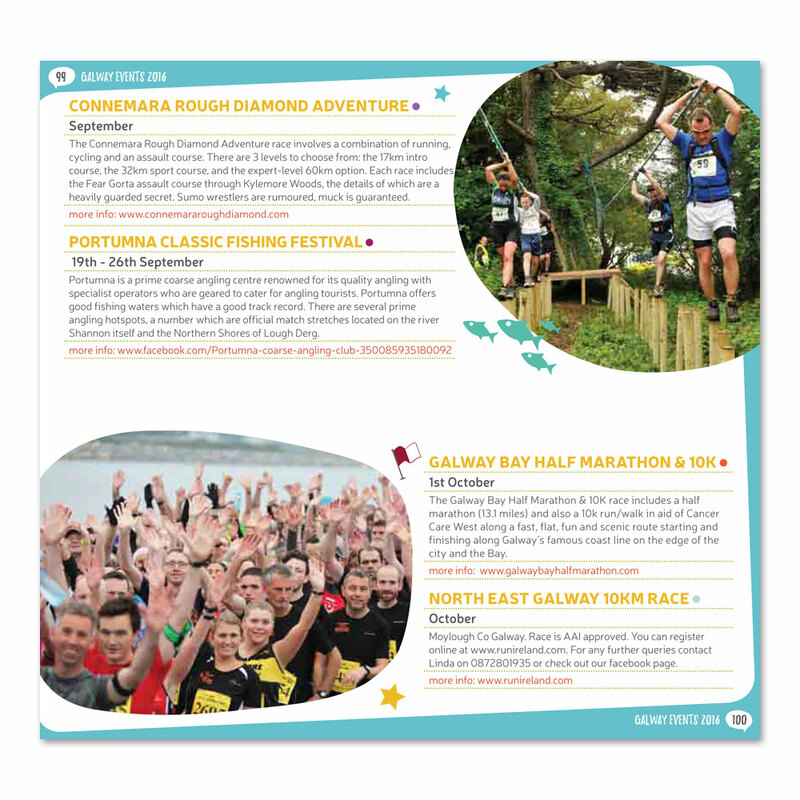 The Galway Events Guide is an annual joint publication between Galway County and Galway City Councils. 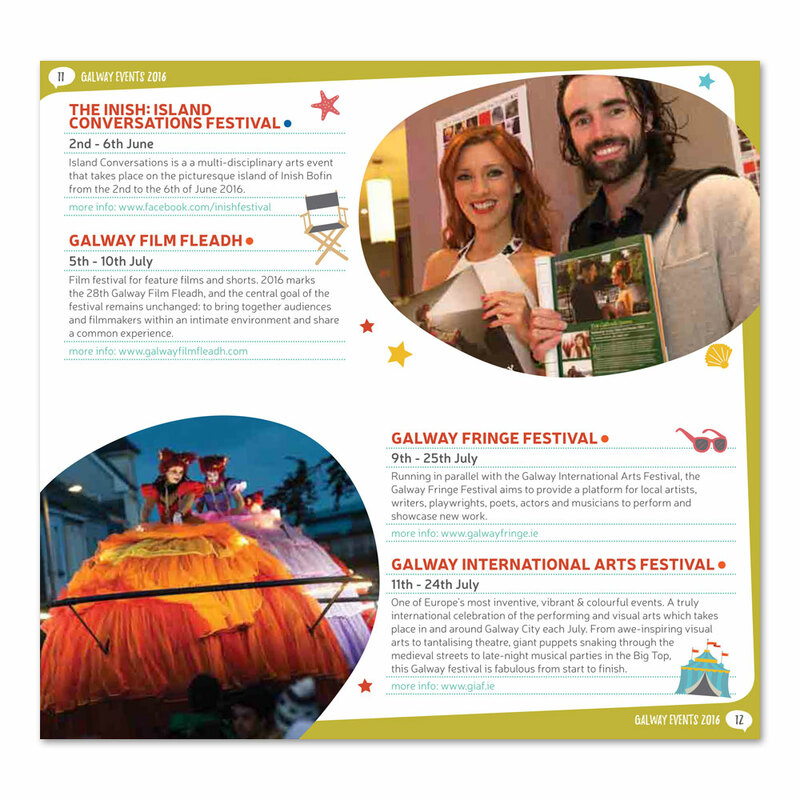 Full of all of the exciting events and activities that make Galway such a vibrant place, the 2016 version is in a handy compact DL size, which means it fits easier in pockets and bags, perfect for tourists and locals alike. 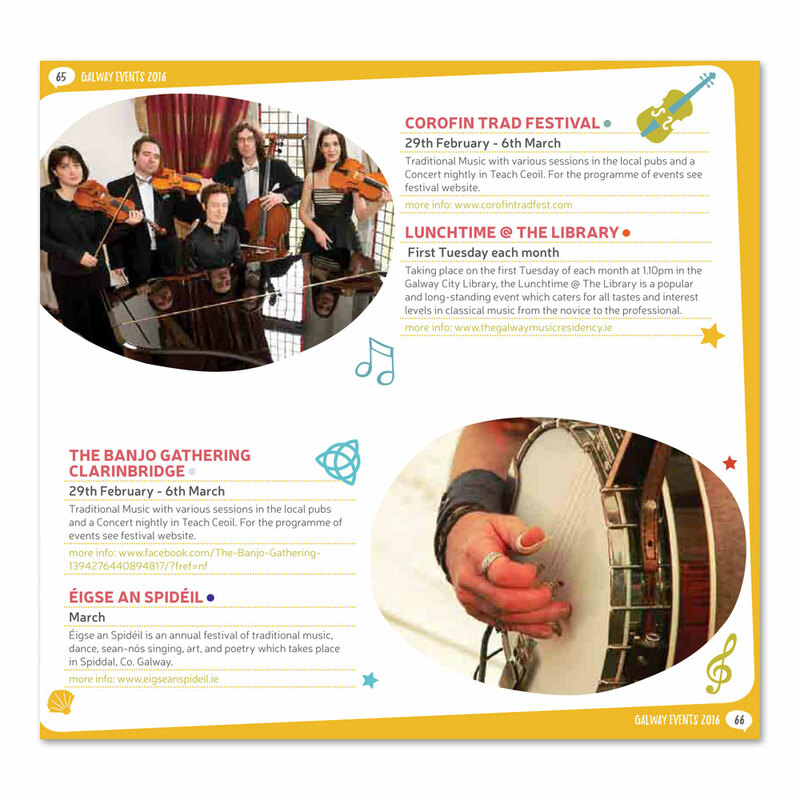 Events are categorized into Arts, Community, Food, Heritage, Music and Sports, so it is easy to find the happenings which interest you the most. 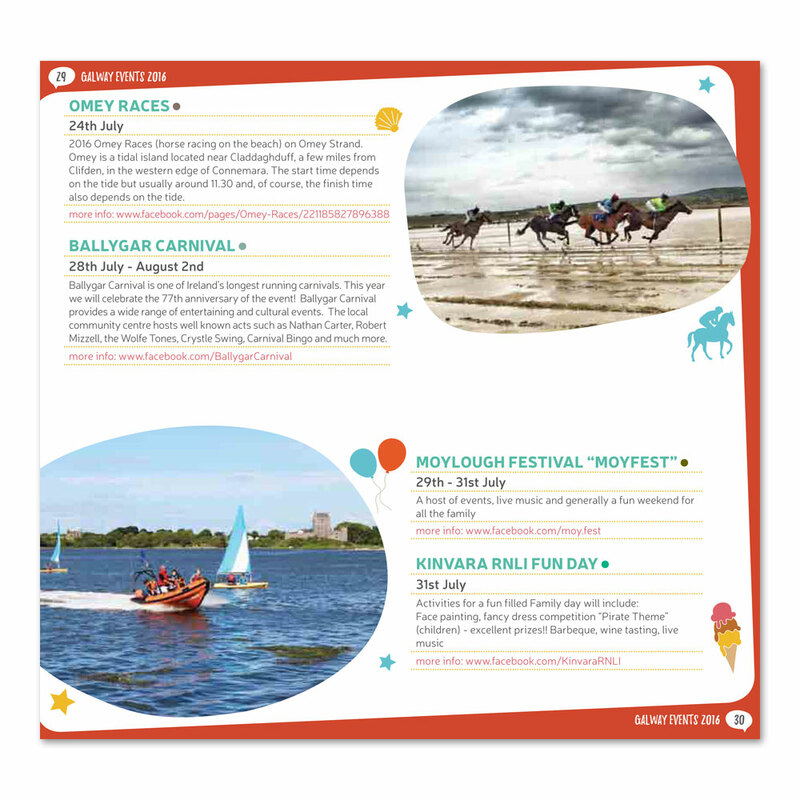 A version in Irish is also produced.